Father Nicholas Aloysius Weber taught the following in the years until his retirement in 1941: Hist. 101, 102 (Western Europe from the Decline of the Roman Empire), 104 (From the Congress of Vienna to the present), 513, 514 (Modern Europe, Survey from 1492 - 1789). Weber did not supervise any M. A. theses after his retirement. Msgr. John Tracy Ellis offered classes in Modern European History 301, 401, 402, 411 (Europe Since 191), 451, 452. [i] Henry Bruehl was born as Heinrich Joseph Brühl 1879 into a Catholic family in Herdorf (Koblenz), Germany, and died in Washington, DC on October 17, 1946. The Washington Post wrote an obituary under the title “Dr Bruehl, Opponent of Nazis, died”. Bruehl lived with his family in Florida between the age of 4 and 9, before the family returned to Germany because of the death of his father in 1889. He studied in Antwerpen (Humaniora 1898), Salzburg, and Muenster. (PhD 1905) His dissertation focused on the Prince-Archibishopric of Muenster during the 18th century. Since 1904 Bruehl taught as a Secondary School teacher until he was forced to leave his position in 1934 probably because he wrote a book in 1932 entitled “Heinrich Brüning, unser Führer”. Brüning, member of the Center Party and Chancellor of Germany 1930-32, also fled in 1934 to the U. 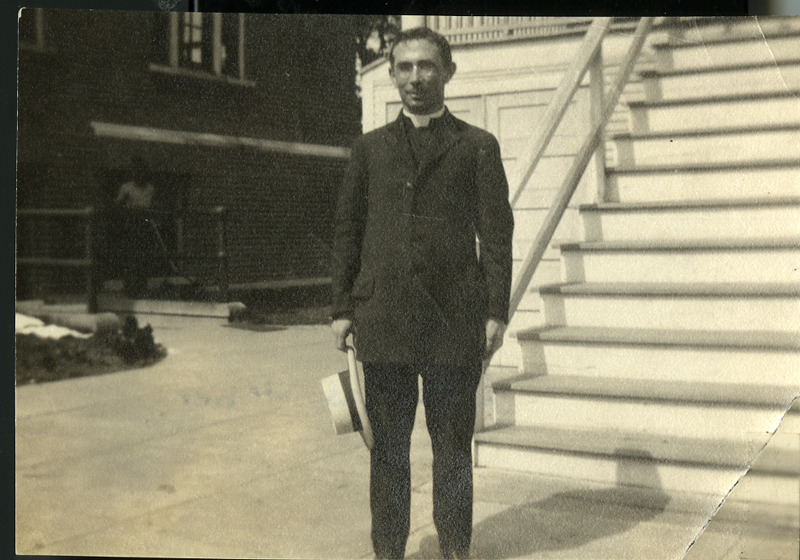 S.. Bruehl had a position as teacher at the Rosemont College (Society of the Holy Child Jesus) in Rosemont, PA, before he was hired as Assistant Professor at CUA. See his c. v. in his dissertation: Brühl, Heinrich Joseph. Die tätigkeit des ministers Franz freiherrn von Fürstenberg auf dem gebiet der inneren politik des fürstbistums Münster, 1763-1780: Inaugural-dissertation... Vol. 1. Regensburg, 1905.